The man was shot in the head after fighting broke out during an Israeli army incursion into the village of Burqin in the northern West Bank, it said. 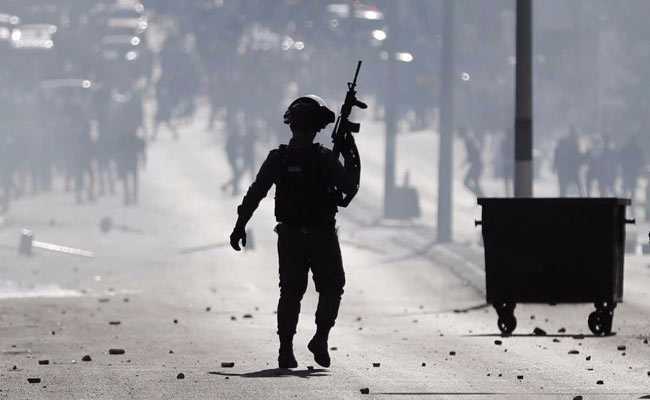 Nablus, Palestine: A Palestinian man was shot dead in clashes with the Israeli army on Saturday during a raid in the occupied West Bank, the Palestinian health ministry said. The health ministry identified the dead man as Ahmad Abu Obeid, 19. The army did not comment on the death, but said in a statement it had entered the village, near the city of Nablus, in an attempt to find suspects in the shooting dead of an Israeli rabbi in January. Raziel Shevah, a 35-year-old rabbi, was shot dead near Havat Gilad, a wildcat Jewish settlement outpost in the Nablus area, on January 9. The army has been since launched multiple violent raids to search for the suspected killer, 22-year-old Ahmed Jarrar. Jarrar is the son of Nasser Jarrar, a member of Islamist militant movement Hamas who was killed while fighting Israeli forces during the second Palestinian intifada. The army did not say if he had been caught during the raid.